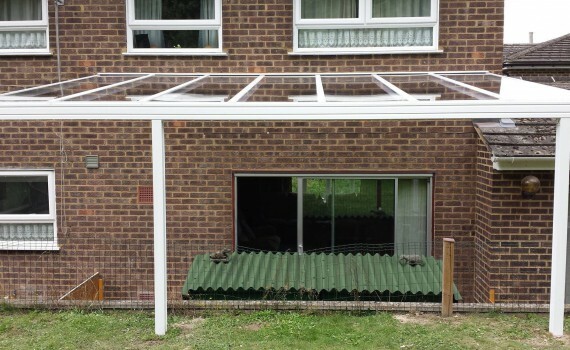 A fantastic job done by Dave and Steve installing our LuMac canopy. A tricky setup with different garden levels and animal hutches that can’t be moved. We (and the animals) are very happy with the Clear As Glass option as it provides shelter for the pets yet keeps plenty of light coming into our lounge. Many thanks to the team at LuMac for all your advice and help.